Jenna Comeaux settles into the batter's box for the Pearl River Community College Lady Wildcats. 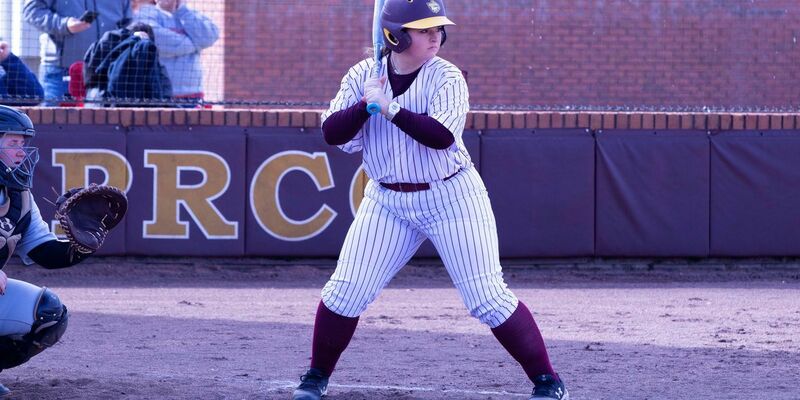 POPLARVILLE, MS (WDAM) _ Alysia Pinero hit a two-run double in a four-run sixth inning that helped the Pearl River Community College softball team to a 7-3 victory Friday over Marion Military Institute on the first day of the Wildcat Invitational. Autumn Clark added a run-scoring double in the Lady Wildcats’ big inning that locked up the victory. Jordan Lee had a two-run single in the third inning, and Elizabeth Taggard and Jenna Comeau x had two hits each. Grace Stringer (2-0) allowed an unearned run over six innings while striking out five batters. “Grace Stringer got out there and pitched well for a second straight game,” PRCC coach Leigh White said. “We hit the ball well and got after them. The Lady Wildcats (2-2) hit the ball well in a second game Friday but could not slow down Louisiana State University-Eunice, falling 19-9 in five innings. Comeaux went 2-for-3, hitting her second and third home runs of the season and driving in three runs. BreAnna Corkern also drove in three runs with a double in the second and a two-run double in the fourth inning. Mary Grace Turner had a solo home run for the Lady Wildcats. PRCC wrapped up the Wildcat Invitational Saturday with two games against Baton Rouge Community College.